The 416 Fire burned up to the Lower Hermosa Campground, but the popular recreation area was saved by firefighters. Flames approached the campground sign, leaving behind a stark landscape in the surrounding woods on Monday. The 416 Fire burned up to the outer perimeter of the Lower Hermosa Campground, but firefighters were able to steer flames away from the recreational spot. 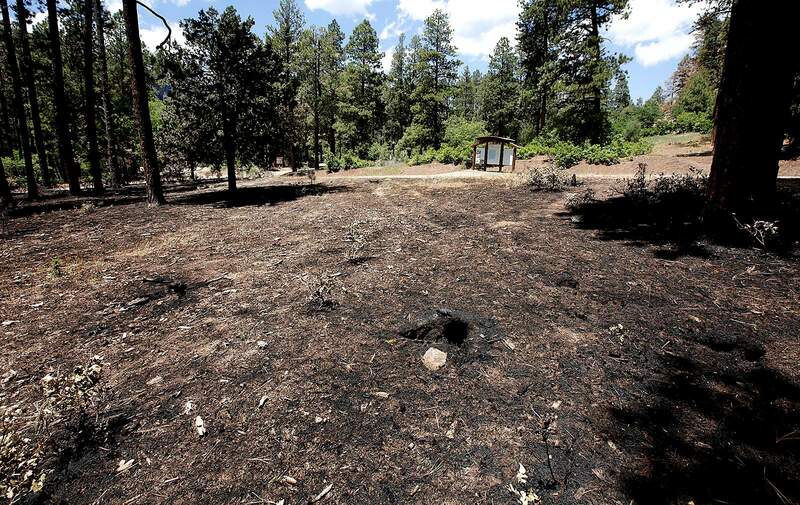 The 416 Fire burned up to the Lower Hermosa Campground, but firefighters were able to save the popular recreation spot. Mountain peaks between Purgatory Resort and Silverton received a bit of snow last weekend, remnants of Hurricane Bud, which soaked Durango and provided a respite for firefighters working the 416 Fire. The 416 Fire stalled for a third day Monday, showing no measurable growth and minimal amounts of smoke as the 34,161-acre blaze smoldered within its own boundaries. The subdued nature of the fire could change this week as warm temperatures return to the area and fuels dry out from last weekend’s rainstorms, according to the federal team overseeing firefighting operations. The front line of battle on the 416 Fire moved to the fire’s southern edge Monday, where more than 200 firefighters worked to protect homes in the Falls Creek and Junction Creek areas. Rain over the weekend, thanks to the remnants of what once was Pacific Ocean Hurricane Bud, caused the 416 Fire to have minimal to no growth, with much of the fire in a state of smoldering and creeping, said Rocky Mountain Type 1 Incident Management Team spokesman Cameron Beck. 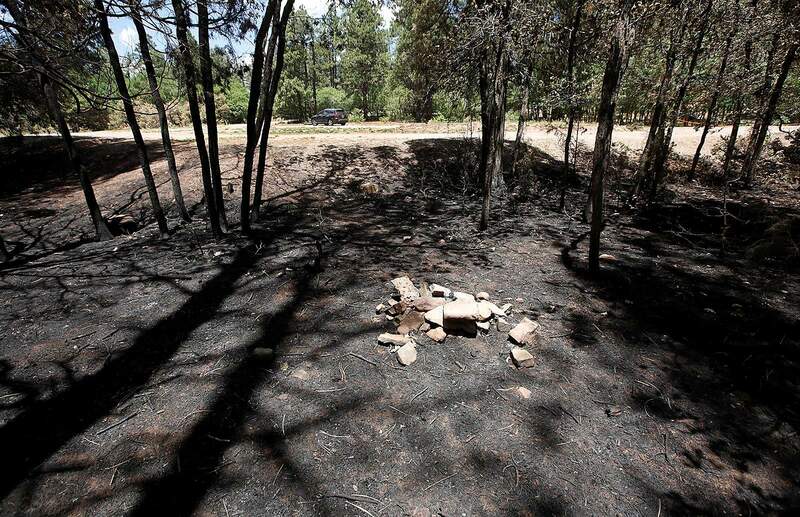 Monday evening, Incident Commander Todd Pechota told the Durango City Council the fire – which started June 1 – would be at 35 percent containment by the end of the day Monday. A total of 827 personnel are working on the 416 Fire and 179 personnel are working the Burro Fire, he said. Total cost to fight the 416 and Burro fires was at $18.6 million on Monday. Despite the desperately needed inch of rain over parts of the burn area, weather conditions this week will cause the region to dry out and bring back the potential for fire growth. According to the Type 1 management team, the San Juan National Forest remains in an exceptional drought, with an overall deficit of 5 inches of rain. 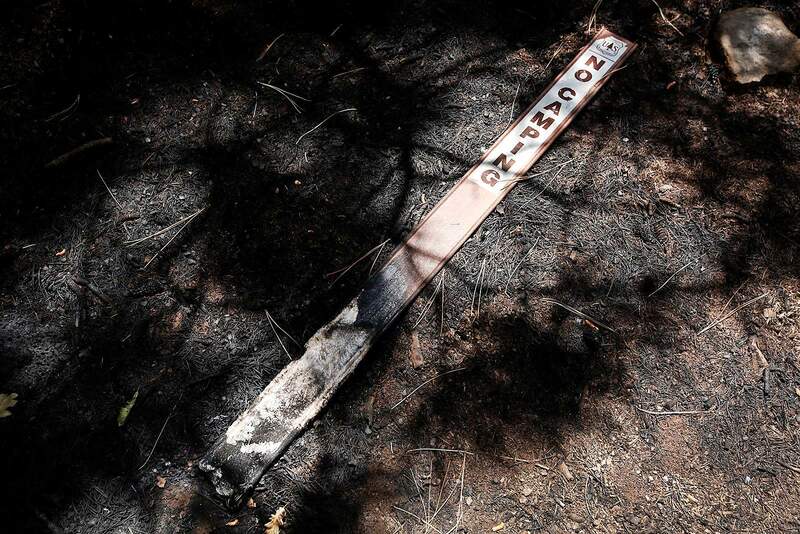 Fire officials say the 416 Fire won’t be truly out until monsoons and colder weather arrive. “While the threat to people and values has been significantly reduced, it is important to remember that the fire is not yet ‘out,’” according to a news release from the Type 1 team. Still, the rain over the weekend has allowed more than 200 firefighters to get on the ground this week and use “direct” tactics, Beck said. 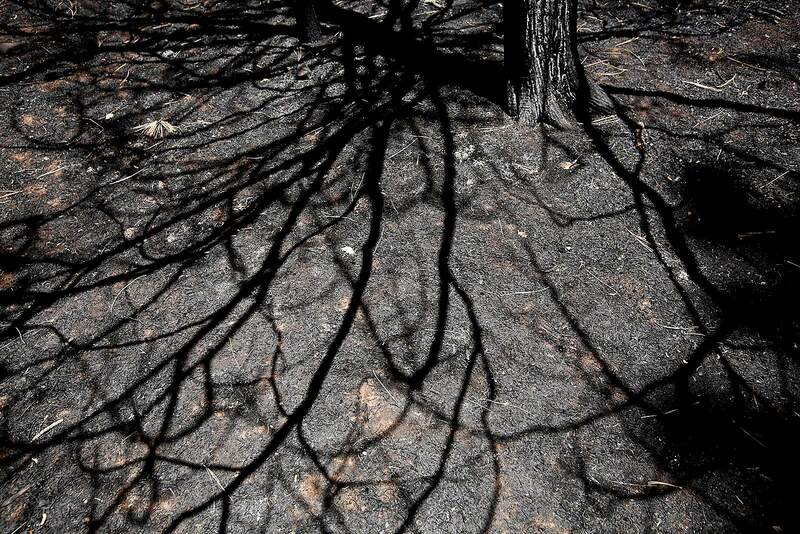 A burned tree casts its shadow Monday on the ash-covered ground near the Lower Hermosa Creek Campground. Firefighters were able to protect the campground from the 416 Fire. “We’re going to go as close to the fire’s edge as possible and use hand crews to dig fire lines in an effort to eliminate the burning as much as possible,” Beck said. The weather has allowed a direct attack of the fire along its south and southwest edge, Pechota said. “It’s high risk, but it comes with a high degree of success,” Pechota said. Pechota and his Type 1 team will hit its 14-day limit for work on Thursday, and the Type 1 team will be turning over management of the blaze to a National Incident Management Organization. The incoming NIMO incident commander will be Joel Reinarz. The NIMO team, Pechota said, will have fewer personnel, but has the ability to scale up rapidly if the fire comes back to life. Ken Gregor, the Type 1 team’s operations section chief, told city councilors that a saw line was completed Monday to protect the Falls Creek area and an indirect line protecting the same area is expected to be completed Tuesday. On Monday, two hot-shot crews were flown onto a ridge near Falls Creek to dig a fire line on the southern edge of the fire, wrapping around to its northwest side. Two more crews hiked into the area and also constructed lines. As roads dry out, four more hot-shot crews will join crews working on a fire line off Junction Creek Road. Firefighters will assess the need for protecting homes there, the update said. Falls Creek is the only area still under an evacuation. Gregor said no good options exist to fight the rugged, forested area between the 416 and Burro fires, and the area between those two fires holds no structures. In this area, he said, the fire will be allowed to take its course. “We’ll just let the fire do what it wants out there until the monsoons hit,” he told city councilors on Monday night. Pre-evacuation notices remain in effect for residences and businesses on the west side of County Road 203 from Trimble Lane south to the U.S. Highway 550 intersection, the 1000 block of County Road 204 to the Colorado Trail access, and County Road 205 north from the intersection of County Road 205 and 204 to the Falls Creek Ranch subdivision entrance. 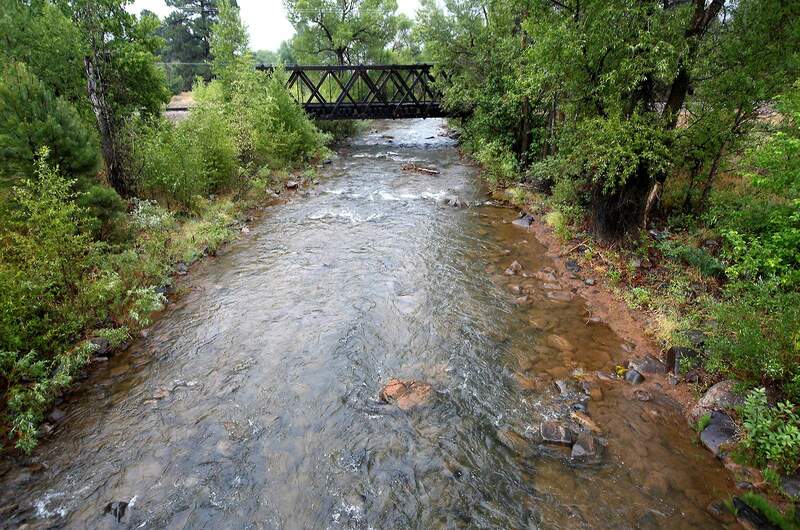 Rain over the weekend did not bring mudslides or flash flooding, as feared, said Butch Knowlton, director of La Plata County’s Office of Emergency Management. Hermosa Creek ran a little higher Sunday morning with ash coming down from the 416 Fire burn area. Firefighters will concentrate on the Falls Creek and Junction Creek areas early this week. Knowlton called the rain over the weekend the “perfect prescription of rain” as moisture fell steady and slow. He said the drainage from Hermosa Creek is brining runoff with ash from the fire into the Animas River, changing its color. 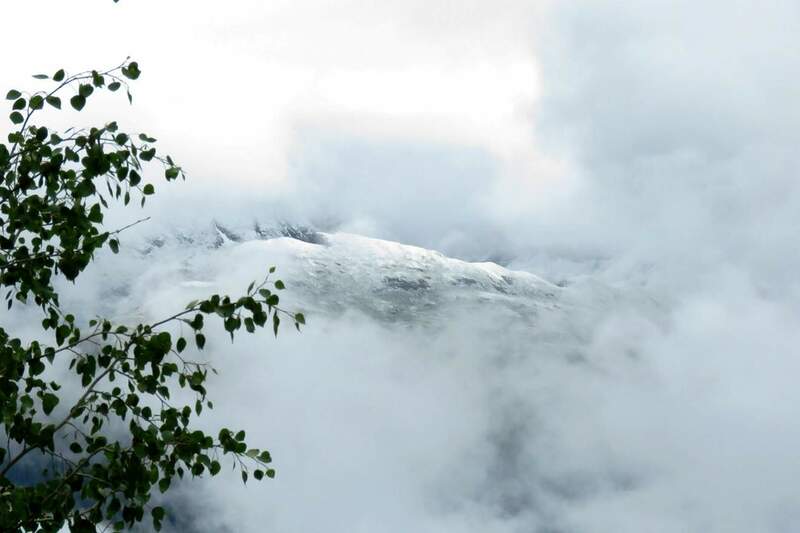 Dan Bender, the recently retired spokesman for the La Plata County Sheriff’s Office, provided photographs showing a dusting of snow on high-elevation peaks between Purgatory Resort and Silverton from the weekend storm. “To get snow in June from the remains of a tropical system is unusual,” said Julie Malingowski, a meteorologist with the National Weather Service in Grand Junction. 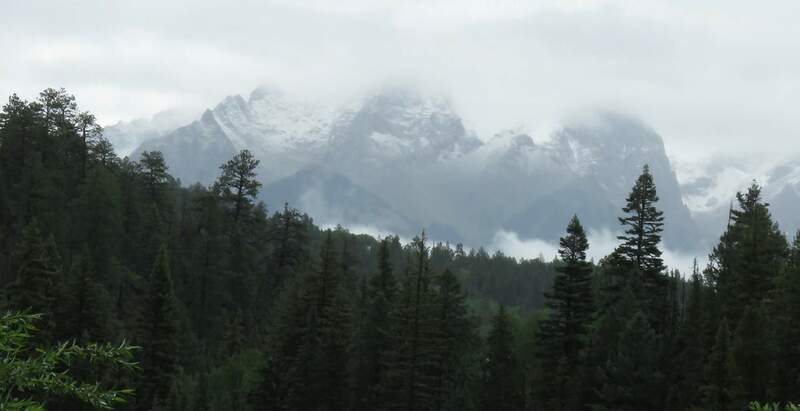 “It’s not unprecedented to get snow in mid-June, but it’s certainly surprising,” she said. Further to the west, rain also dampened the Burro Fire, which is now at 3,715 acres and is expected to be at 15 percent containment at the end of Monday. Highway 550 has fully reopened.